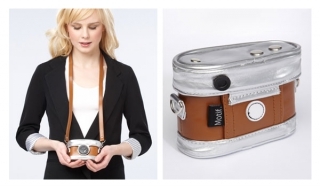 Carry your brand new digital camera in this vintage looking pouch! 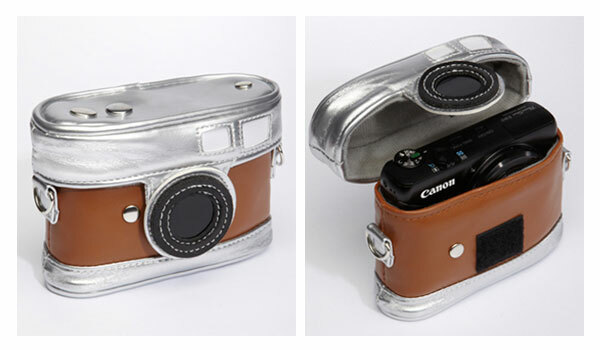 A soft, but durable camera pouch looks just like a classic camera, including a faux viewfinder on the back. Made from 100% man-made materials.